I am not all knowing and a lot of my information comes through research….and Instagram and Twitter. I stumbled upon the below and thought it was too good not to share. 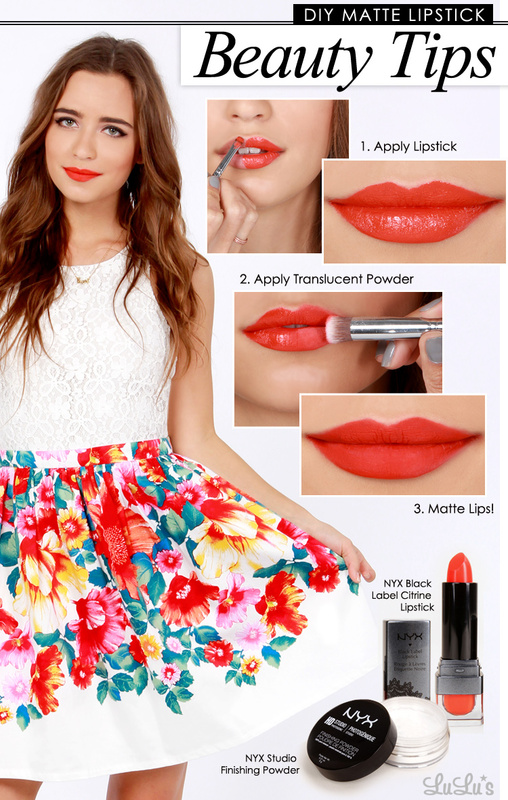 Check out how to get matte lips without buying matte lipstick below! You can do this with any lipstick. It is such a cool trick that will give all your non-matte lipsticks a dual purpose. I found this awesome tutorial via Lulu’s blog.